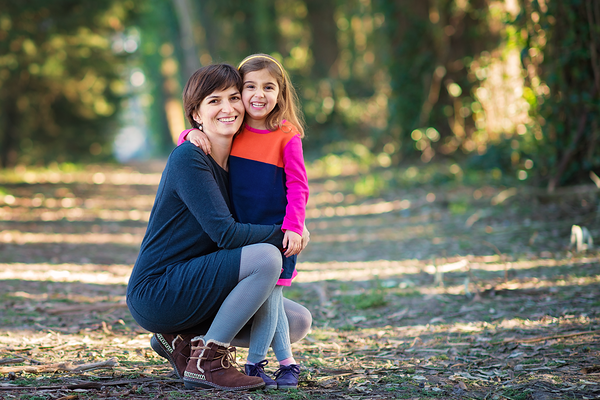 I am a children and family photographer based in the San Francisco Bay Area. I specialize in children's and family portraits and special events such as birthday parties, bar- and bat-mitzvahs, and graduation ceremonies. I started out as a fine artist, studying Drawing and Painting at California College of the Arts. In my junior year I took my first Photography class and was instantly drawn to this medium and its ability to capture fleeting real life moments. Along with portrait photography (which I enjoy the most) I also like to photograph urban scenery. My camera is always with me whenever I go for a walk in the city. I play classical guitar and piano. Practicing music is an important part of my life. I currently live in the East Bay with my husband, our daughter and a mischievous labradoodle.